The prestigious America's Cup for yacht racing is the oldest international trophy in the world and was first awarded in 1851. The cup which was fondly known as 'Auld Mug' was renamed to America's Cup when the schooner named 'America' won the cup on Isle of Wight in England. Since the beginning this yacht race has been a fierce competition between best of international yachting teams. Although top yachters from all over the world join the competition, at the final stage it is a race between the final challenger yacht vs. the previous winner yacht (i.e. defender) of the cup. The 35th America's Cup is held at the north Atlantic island Bermuda. Although the initial rounds of the race start in October 2015, the final is scheduled between May 26 to June 27, 2017. The final races will take place at Great Sound water area with finishing line visible from Royal Naval Dockyard. A 9-acre event village known as The America's Cup Village is being built at Royal Naval Dockyard which will have live entertainment, food vendors, bars, America's Cup Merchandise, 'Dock Out' shows, sailor signing sessions, viewing stands & terraces etc to enjoy the festivity and watch the race. There are six teams participating in the competition - 1) Artemis Racing (SWE), 2) Emirates Team New Zealand, 3) Groupama Team France, 4) Land Rover BAR (GBR), 5) ORACLE Team USA; 6) SoftBank Team Japan. Oracle Team is last year's champion and the defender of the cup. Below is an account of the developments around the 35th America's Cup including on-water racing activities as well as shore activities including festivities and entertainment (mostly in Bermuda). This is the first stage of the competition where all the six teams competing in 35th America's Cup will be featuring. It will be held between October 16 to 18, 2015 at Great Sound water area in Bermuda, just off the 'Two Rock Passage'. This is an opportunity for the competing teams to garner points towards qualification of the final. The teams will be using wing-sailed 45ft catamarans with foils known as the AC45F. These boats can rise above the water at high speeds while supported on the foils. On top speeds, these sail boats can move at twice the speed of the wind. All the competing boats are identical. However during the 2017 America's Cup final, the teams can make changes to the designs (under strict guidelines) to improve performance of their boats. Oracle Team is the last year's winner of the race and therefore the defender. The final challenger will be determined from the other five based on points acquired in the initial rounds. Following the opening rounds at Portsmouth (England) and Gothenburg (Sweden), the Emirates Team New Zealand is leading, followed by Land Rover BAR and Oracle Team. There will be two 25-minute races held on both 17th and 18th October. The finish line of the first race on each day will be at Great Sound while the finish line for the second race on each day will be at Hamilton Harbor. You can watch the races on water from a spectator boat on Hamilton Harbor or on land from Front Street. For best viewing opportunity, buy a $75 ticket from www.islandtourcentre.com to find a place on a spectator boat. These boats will be lined up on water along the edge of the race course and will provide and open front-row view. Alternatively visit the Event Village at Front Street and watch the races on giant daylight screens. The second race on each day is planned to finish on Hamilton Harbor and you can also watch these races directly from Front Street (carry a binocular). The event village for Louis Vuitton America's Cup World Series is set up on Front Street, Hamilton City. The festival is named 'Our Bermuda' and themed on showcasing Bermuda's culture, food and traditions. This is a family friendly festival and open to the public. There are food vendors, exhibitors, live commentary on the race, daylight screens set up at the Fan Zone (parking lot 1) and also at the Food Court (parking lot 5), fireworks, sailors Dock Out show, activities for the children etc. There is also a concert (with admission fee) on 17th featuring international artists including the Grammy award winning artist Shaggy. Tickets for the concert are available through the website ptix.bm. Race Day-1 is on Saturday October 17, 2015. Event Village opens at 11:30am followed by Endeavor Sailing Experiences and Sailors Dock Out show. Teams to depart the mooring area at 1pm. Race-1 starts at 2:10pm followed by Race-2 at 2:55pm. Following the races, there will be post race sailors' questions & answers session at parking lot 1, Endeavor Synchronized Sail, and then the gates to open for the concert at 7pm (at parking lot 1). AC Jam presentation starts at 8pm. Village closes at 11pm and concert at 12pm. Race Day-2 is on Sunday October 18, 2015. Event Village opens at 11:30am followed by Endeavor Sailing Experiences and Sailors Dock Out show. Teams to depart the mooring area at 1pm. Race-3 starts at 2:10pm followed by Race-4 at 2:55pm. The races to be followed by sailors' Q&A, Exhibition Sale, Award Ceremony etc (at parking lot 1). Event Village closes at 6pm. Other than watching the race, you can engage in plenty of activities in and around the event village. A zipline is being set up over the water which is suitable for all ages. You can zip through and watch the entire event village and all its activities. Visit the Food Court and try out many street food of Bermuda like Jerk Chicken, Fish Sandwich and lot more. Visit the Gosling's bars in the event village during happy hour on Friday night and try out Bermuda island cocktails like the Dark n' Stormy and Rum Swizzle. Or head to the Moët & Chandon Lounge to sample some of the great selections of Champagnes. The Endeavour Program would offer an opportunity to test your skills as a sailor. It'll be held at the Flag Pole. BMW's latest models would be in display at Pier 6 and also at Fan Zone. The three resident teams of America's Cup Artemis Racing, ORACLE of USA and SoftBank of Japan opened their bases at dockyard to the public. Thousands came to the fest and witnessed the incredible speed of the hydrofoil catamarans (similar to the ones that will participate in America's Cup final) as the teams raced. The boats could reach a speed of 30mph on a wind speed of only 10mph. Many had opportunities to chat with the sailors. There were many other activities in the event camp including stalls selling souvenirs like caps and T-shirts with logos of the participating teams, food stalls etc. Tickets for the America's Cup final between May 26 - June 27, 2017 are on sale starting December 2016. You can buy the 35th America's Cup tickets online from www.americascup.com/tickets . There are additional air-conditioned ferries that will operate to America's Cup Village in Royal Naval Dockyard from Hamilton and St. George. You can pick up the ferry schedule from Visitors Information Centers (at Hamilton or St. George). America’s Cup retail container at Number 1 Dock, Front Street, can assist if you need access to a computer and printer to print out the tickets. This is a 9-acre site created at Royal Naval Dockyard. This will offer pre and post race entertainment between 11am to 5pm on most days of the racing event. The site will have live musical bands, a host of vendors offering local food & America's Cup merchandise, ‘dock-out’ shows, signing sessions by sailors and of course finishing line viewing area to watch the competing boats speeding for finish. Tickets prices start from $10 for islanders and $20 for foreign visitors. Update April 2017: The island restaurants Rosa’s, Bermuda Pie Company, JB’s Woodfired Pizza and Smokin Barrel will set up stalls at the village serving food. Docksider's Pub will run the bar concession. This will include entry to The America's Cup Village as mentioned above plus a seat on the Grand Stand at the village to get great view of the finish line on the Great Sound water area. The grand stand also has a dedicated giant screen showing the race live along with commentary. Ticket price starts at $70. This is a step ahead to see the race in style. You can board a motor boat or a catamaran from either Hamilton or Royal Naval Dockyard, get very close to the action just next to the edge of the race course and watch the race right in front of your eyes. There will also be a radio commentary. Food and beverages will be available on boat. It's a 3-hour round trip. Ticket starts from $150. A lively island bar area with its own viewing terrace to get a great view of finishing line. Ticket price starts at $150 and includes buffet lunch. Owners of registered boats can have access to designated public areas on the water and close to the race course from where they can get great views of the race from their own boats. Friday, June 16th - J Class Regatta, Murray’s Anchorage. Race begins at 11.30 am. Monday, June 19th - Long Distance Comet Race for the Edward Cross Cup – race begins in Somerset at 7.30am, travels down North Shore, finishes in St. George’s Harbor approximately 2pm. Monday, June 19th - J Class Regatta, Murray’s Anchorage. Race begins at 11.30 am. Tuesday, June 20th - J Class Regatta, Murray’s Anchorage. Race begins at 11.30 am. The Fort will be open from 10am to 4pm. Entry is $10 and includes sandwiches, fruit salad and a drink. Shade and seating will be provided. For more information contact Fort St. Catherine. (441) 297 1920. What is the distance from where the cruise ships dock at the Royal Navel Shipyard to the entrance to the America's Cup Village? Is it walkable or will there be taxis or other means of transportation to get us back and forth between the two areas? Thank you. Hi, cruise births are within Royal Naval Dockyard where the America's Cup village is set up. It's a short walk from the cruise ship to the village (assuming you are docked at Kings Wharf or Heritage Wharf piers located in Royal Naval Dockyard). Hello Raj.B ! Hoping you can help us maximize our upcoming visit . 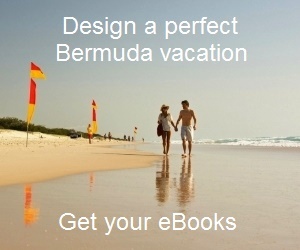 My wife and I are coming to Bermuda in June; our primary motivation being the Americas Cup! And as she told a friend the other night, somehow Bermuda was never on our bucket list but after researching it on the web, we are totally stoked to be coming! After racing small catamarans all over California and the United States for almost 8 years, competing at the highest levels, these high-performance boats are in our blood. So as you can imagine, once it was confirmed that catamarans were selected for the 2013 Americas Cup, we started planning and made it up to San Francisco! And 4 years later, after trying to figure out how to juggle grandkids and finances to come to Bermuda for the 2017 Cup; we were able to book our trip with Celebrity Cruise lines and are excited to have 4 days on the island (June 22 25). And while we were able to obtain tickets to the Americas Cup Village, the tickets to all the official spectator boats were sold out by the time we booked our trip (as were the bleacher tickets). But with all my years in and around marinas and businesses, I have to assume that other (unofficial) local boat operators will also be taking folks out to watch the race from the water. So as you're on the web as "Bermuda Boating and Sailing Tours", I'm hoping that you will be able to put me in contact with local businesses or groups that are.